Home / Covfefe / Donald Trump / Oliver Fairhurst / Covfefe ... the trade mark?! 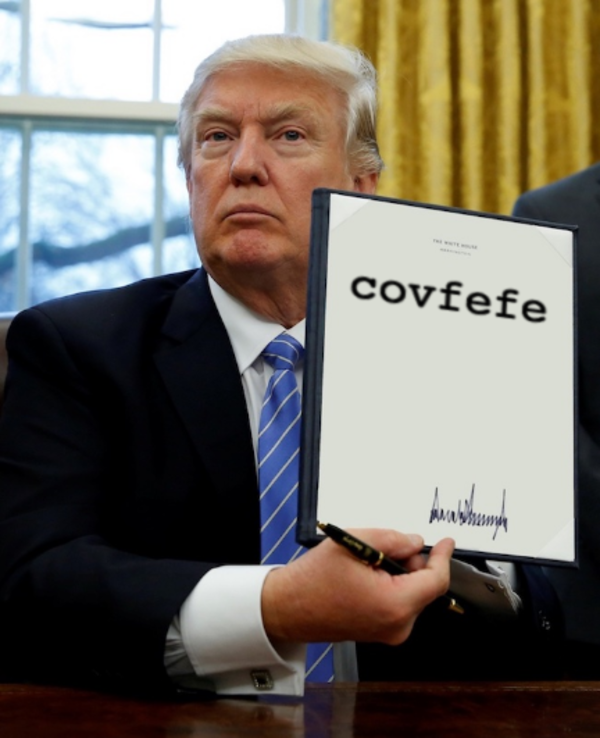 What's a 'covfefe'? Even The New York Times has posed this question, after US President Donald Trump used the word in one of his (regular) tweets. At least we know that the word is a wannabe trade mark, being subject to several trade mark applications (including in the UK), as Katfriend Oliver Fairhurst (Lewis Silkin) explains. But will these applications eventually succeed? "While readers would be forgiven for missing it, the 45th President of the United States of America recently took his habit of late night tweeting to a new low. Widely understood to have been an attempt to rail against the negative press coverage he has received, Mr Trump instead complained of the “negative press covfefe” before trailing off mid-sentence. 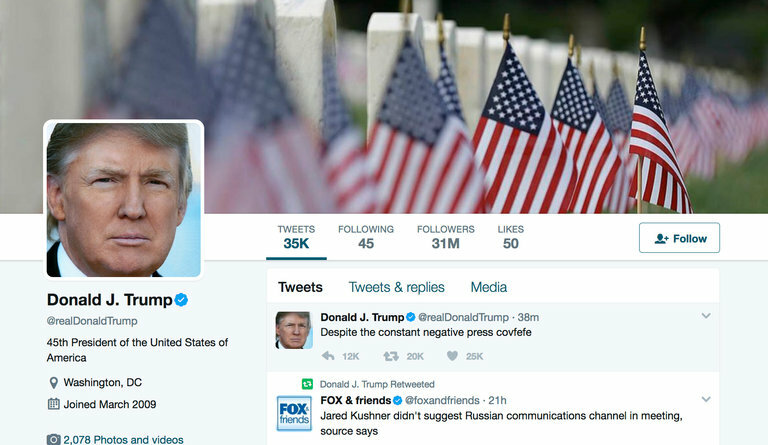 Given that Mr Trump’s Twitter following appears to be largely made up of journalists and bloggers, the #covfefe hashtag immediately began trending and featuring in ‘memes’ mocking the President. The word instantly evokes the anti-Trump sentiment of which the President complains. With the English language’s newest word gaining instant fame, it is perhaps unsurprising that various enterprising folk around the world have sought to register it as a trade mark. Applications have been filed in the US, and one person has sought to register COVFEFE in the UK in class 32 (“Ale; Ales; Beer; Beer and brewery products; Beer-based beverages; Beers; Beverages (Non-alcoholic -); Flavored beer; Flavored beers”). The COVFEFE mark is distinctive, it is not descriptive of the goods covered, and it is not obviously objectionable on the grounds of morality or deception or any other rule of law. Indeed, the UK IPO has allowed it to proceed to publication. Mr Trump (despite the time and content of the above mentioned Tweet) apparently does not and has never drunk alcohol. One could therefore understand why Trump might not approve of this use of the word he (inadvertently) coined simultaneously to (1) promote the sale of alcohol (a product that he does not care for) and (2) mock him (an activity which he positively despises). However, under what ground could he oppose its registration? It is unlikely he could oppose under section 5 of the TMA (i.e. earlier right, passing off, copyright etc.). He might reasonably argue that the mark, the registration and use of which might be intended to mock him and/or be against his values, was applied for in bad faith. However, such an opposition seems unlikely. But should it be registered? The UK craft beer industry has a particularly unique approach to naming beers, and some beer producers might frown at the attempt to monopolise the use of the word. Given Scottish brewer BrewDog’s past mocking of world leaders (see here), they might be disappointed that the name is off the table. The attempt to register COVFEFE raises an interesting question: where a sign is already associated with a third party, but not a third party who could object to the registration of it as a trade mark, is it right that someone can stake their claim over it to the exclusion of others? Several such terms have been registered in the UK and EU, e.g. YOLO (as in ‘”you only live once”, apparently coined by US rapper Drake) and CHILLAX (the portmanteau of chill and relax, brought into the common British consciousness by former PM David Cameron’s use of the word). Putting aside for a minute the proliferation of ‘functions’, the main purpose of a trade mark is to link an expression (i.e. a word, sign, sound etc.) to the source of certain goods and services. It seems somehow wrong that a person claim an exclusive right to hijack the pre-existing fame of a word to sell their goods and services. This is particularly so in certain industries (e.g. fashion) where capturing the zeitgeist is often crucial. Either way, it looks as though the mark will proceed to registration. And this author looks forward to raising a glass of Covfefe and toasting to the enduring allure of trade marks." Oliver Fairhurst is an Associate in the Brands & IP and Dispute Resolution teams at Lewis Silkin. The views expressed in this article are the author’s own. I believe Drake is Canadian. If the trade mark is used in a business context, Trump could also try making a claim based on competition law. Using the word he has "coined" (and intents to use with one of his businesses) might be seen as anti-competetiv. Very distinctive and not descriptive of anything. But shouldn't be used for coffee. Other people will find a way to infringe it legally if used for coffee.